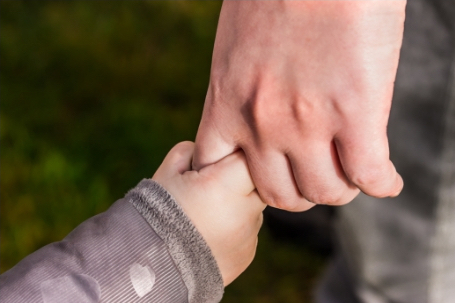 What Are Parent Claims In A Daycare Negligence Or Abuse Case? Parents always want to know what is a daycare lawsuit. There are always two claims. The first claim is for the parents and that covers the medical expenses in the past and up until the time the lawsuit is resolved as well as any of the medical bills that will be incurred in between the time the lawsuit's done and the time that child reaches 18, or beyond if it's even a more permanent disability. Those medical bill claims are involving the parents because it's your responsibility as parents to take care of those. The parents also have potential lost wage and loss of earning capacity claims depending on the impact of what happened to the child on the work that the parents are able or allowed to do with at this point. Those are factored in as well. What Are Child Claims In A Daycare Negligence or Abuse Case? The majority of the claim is for the child and the parents generally are the representatives or guardians of the child. That claim actually involves more of the personal injury aspect. Such as the noneconomic damages that really we all know and understand in our lives. Which is the pain and suffering that, that child has to go through, as well as the mental anguish that, that child has sustained or will sustain in the future from such a traumatic event as a young child. We know that memories can not be erased, they last forever. We also factor in physical impairment which means what the child has difficulty doing for any amount of time or will have difficulty doing in the future if there's a permanent injury that impacts any activities or passions or abilities they ever did in the past or would have wanted to do in the future in their lives. It also includes disfigurement, so if there's any visual scarring or visible injuries involved either in the past or the future, that would be included in that as well. Depending on the age and some external factors, any earning capacity claim, which is economic damages claim that would've kicked in beyond the child's age of 18, can also be considered as well. Each of these depends on evaluating the legal elements of those claims and whether or not each case fits them. But parents always wanna know what are the available claims for the parents as well as the child at that point in and to the future. And that gives a pretty good broad basis of the different aspects of the two claims that are always involved in a daycare case and involving an injury or death to a child. What Are The Rights That Parents Have Regarding A Death To Their Child? This seems like a really dumb question, because you would think that the parent should have every right told to them and be able to handle and approach this tragic event in anyway that they would like. Unfortunately there are opposing sides that will try to cover their tracks and get the parents to settle for far less and sweep things under the rug.The death aspect of a child is tragic and the parents would have a wrongful death claim at that point. That factors and a few different considerations that is more tailored towards the parents and what they've lost is priceless. Having to grieve for your child is enough in itself and then having to hear the defense for negligent behavior is another blow. Hiring an attorney in these situations is always a great move. What Can The Button Law Firm Do To Help Parents In A Daycare Negligence Or Abuse Case? 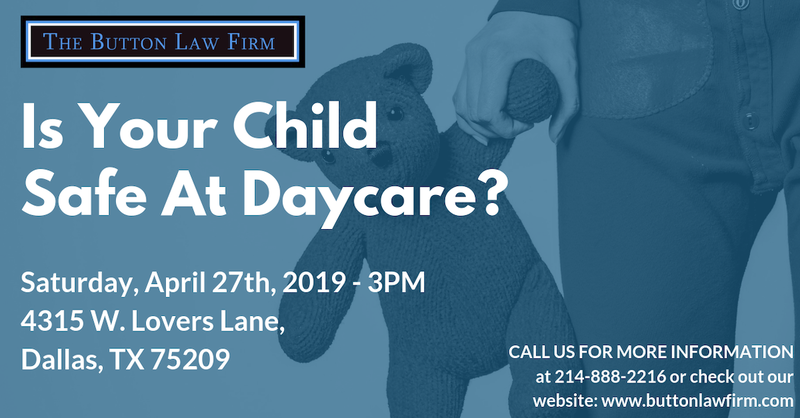 Has your child has been hurt while attending a daycare? Make sure to fill out an incident report, check out our article on the importance of doing so. If you have any questions, whether as a parent, a family member or a concerned loved one, give us a call at 214-888-2216. We've got a lot of free information for you both on our website, our YouTube channel and at our office that we can send to you in person for you to read and be informed in handling one of these cases. We want you to know your rights as parents and as a family. We look forward to hearing from you and just know that we're here for you, no matter what.